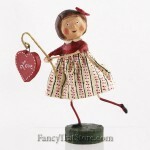 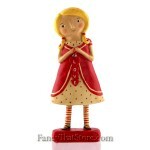 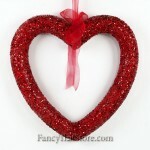 Replace your Holiday wreath with this 20 inch Glittered Red Heart Ornament for a perfect Valentine’s Day door hanging. 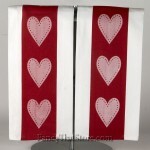 Add a contrasting bow with our Red and White Harlequin Ribbon or use a mix of novelty ribbon streamers for a more finished look. 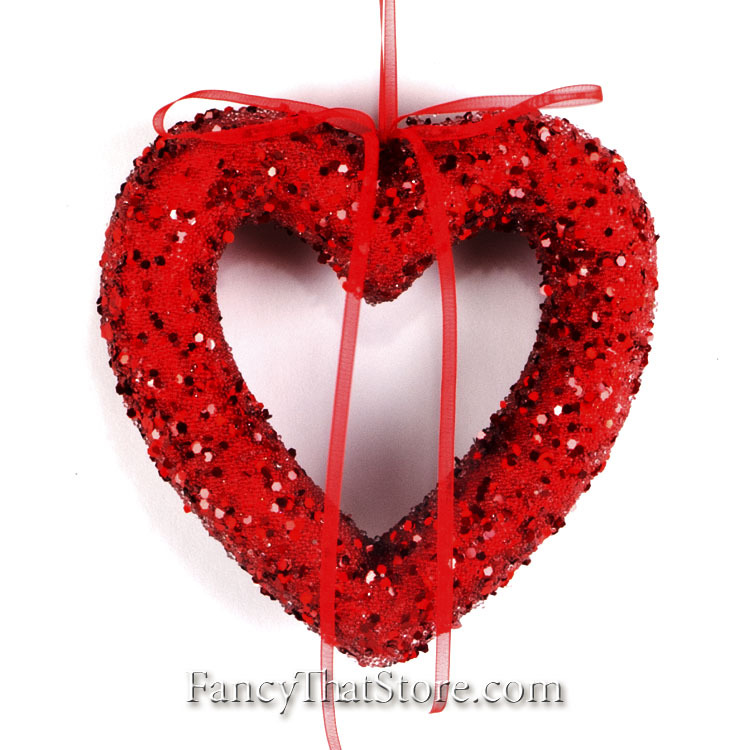 Use your curtain rods or window frames to suspend a Glittered Red Heart from each kitchen window for an easy but impressive festive look. 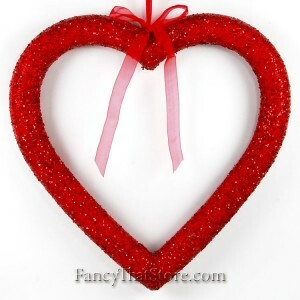 Glittered Red Hearts are also available in 15 inches and 6 inches if the 20 inch size is too large for your windows.